Roll the wire (18-20 gauge aluminium) into a coil at the beginning and towards the end, roll it from the side as shown. Leave an allowance of about 1 1/2 cm before you cut off the wire. Mark the pic you want to use on your flat marble and cut out and paste on the flat side. Glue it onto the bail and glaze it with transparent nail polish and you're done. Attach to a chain and gift-box it to make a resourceful gift. Try it with Different Colors and Necklace. 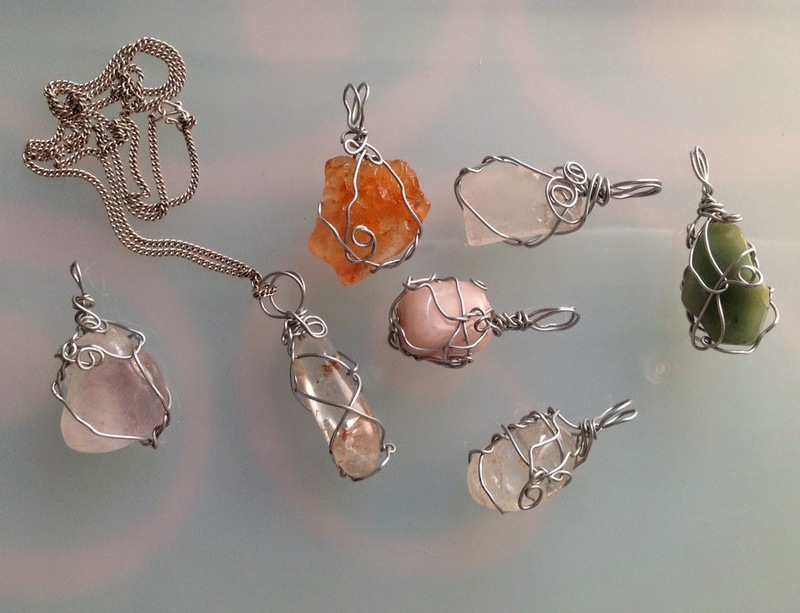 Have you ever own a nice looking piece of stone or crystal and wondered what you're going to do with it if you can't wear it? Well, wonder no more.